The Puppet Rebellion tour hits Scotland a year on from their debut Glasgow show. Armed with a batch of new songs and some of the classics that we fell in love with a few years ago, they are once again on fire. Although undergoing their fair share of lineup changes, the core, the essence and the ethos of Puppet Rebellion remains the same. A committed, intense and passionate crew, they never fail to deliver. Tonight they return to one of Glasgow's best small venues. Singer Oliver has a new coat - he reveals his was stolen on their last visit here. On that occasion we were given a criminally short set. No such worries this time. From the opening onslaught of Chemical Friends right through to the last chords of The Greatest Lie Ever Told, the Manchester five piece deliver an almost greatest hits set. Such is the quality of their material, classics such as Pirouettes and The New Twenty don't make the set. Trademark opener Chemical Friends has a new prelude which sees the band lock into a groove before it bursts into the familiar wall of sound Puppet Rebellion fans have become accustomed to. Without pausing for breath, the band launch into the first new song of the evening - Maybe You Won't. It continues in the same vein as the material found on their much lauded early singles - soaring vocals, an assured rhythm section with new drummer Henry teaming up to great effect with bassist Jim and the sonic assault from dueling guitarists Craig and Paul. Watch Me Fall sounds like a classic 7” post punk single. New single Fragments showcases a different side to the band. Slower and more reflective than their previous releases yet retaining their love of guitar pop. Fragments is the highlight for many in the Glasgow audience. Anti X Factor song Claim To Fame has real bounce before Life Is In Your Hands sees the band create a groove over which Oliver sings. The Pact is another new song and on first listen sounds like another classic. For me the real highlight of the night was set closer The Greatest Lie Ever Told. 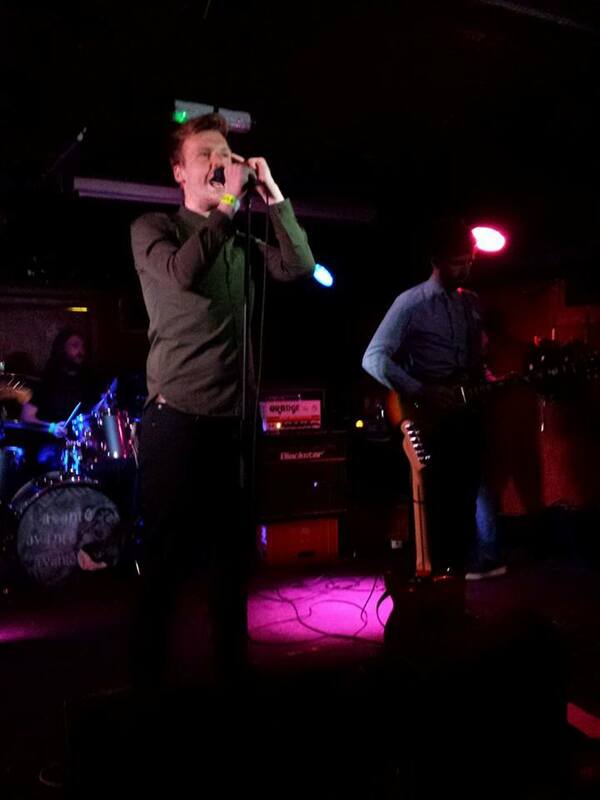 Delivered with an impassioned vocal, the band shift it up a gear. Oliver surprisingly encourages the enthralled crowd to put their “hands in the air”! Other than that, a mightily impressive performance and a new crowd have been won over.